Angelo and the team at Silver & Young joined Parking Australia in 2013. Silver & Young provides the financial services and accounting required to support the association?s management team. 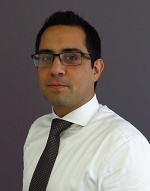 Angelo has 12 years Chartered Accounting experience brings a technical edge to Silver & Young. His varied experience includes both working in the ?growth solutions? section of a top tier firm (Deloitte) and in boutique chartered firms. Business growth has been a priority in Angelo?s work since the beginning. His varied experience means that he has the knowledge required to provide specialist advice and support to businesses and the depth and procedures needed to implement success. His up to date knowledge of business taxation, taxation planning and strategic structuring add another level to the Silver & Young service. His clients include businesses from different industries and not-for-profit organisations.